Teens who want a career studying dolphins or cataloging life on an ocean reef will be right at home in the Marine Biologist in Training Camp. This camp is the perfect blend of learning and fun. 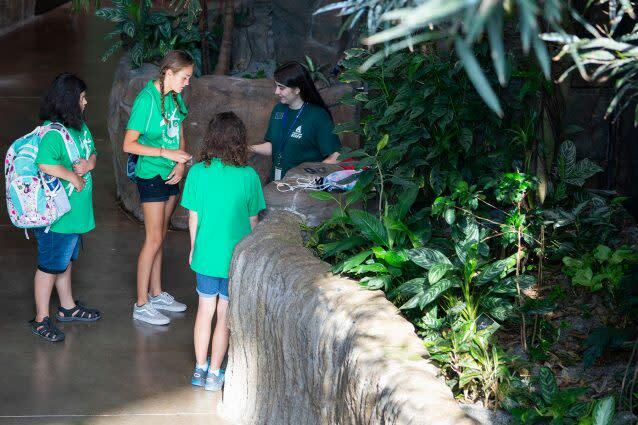 With activities ranging from animal feeds to water fights and scavenger hunts, there is something for everyone. 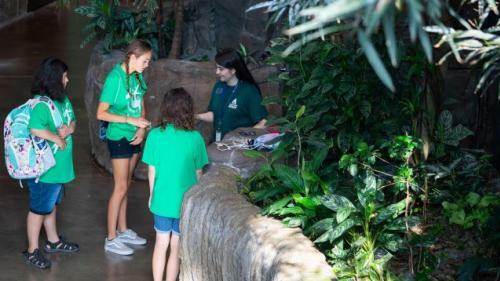 Campers aged 12 to 14 will gain an in-depth introduction to the study of marine ecosystems and their inhabitants, culminating in an opportunity to job shadow one of our aquarists.We love spending extra time with your campers! We can provide supervised care from 8 to 9 AM in the morning, 12 to 1 PM in the afternoon (half-day camps only), and 3 to 4 PM in the afternoon. Campers will enjoy age-appropriate free-choice activities. Extended care hours must be purchased at time of registration. Staff will not be available for drop-in extended care.